The biggest steel producers in the U.S. have taken yet another step against unfairly traded, low-priced imports that are flooding the domestic market. How does this affect your business? 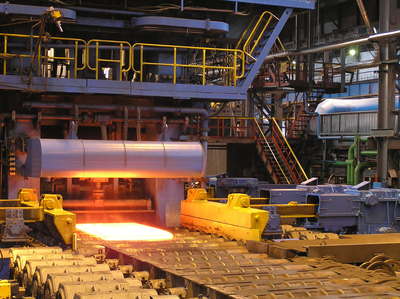 Six major U.S. steelmakers – U.S. Steel, AK Steel, Steel Dynamics, Nucor, and ArcelorMittal USA – filed anti-dumping and countervailing duty petitions with the U.S. Department of Commerce and the U.S. International Trade Commission. The steelmakers complain that five countries are illegally dumping cheap corrosion-resistant steel and causing material injury to the nation’s steel industry. The United Steelworkers union supports the petitions, which target China, India, South Korea, Italy, and Taiwan. Corrosion-resistant steel is coated with metals such as zinc or aluminum to extend the service life of products made from such the steel, including appliances, vehicles, and industrial and agricultural equipment. Imports of corrosion-resistant steel from the above five countries soared 85 percent (more than $2.2 billion) between 2012 and 2014. Will Tariffs Be Imposed on Imports? Low production costs enable overseas producers, particularly China, to sell their products at cheap rates, leading to an industry-wide price decline in the U.S., hurting margins and earnings power. The petitions charge that the steel exporters benefit from countervailing subsidies from their governments, 48 subsidy programs in China alone. Domestic producers will continue to struggle if tariffs are not imposed on imports. American steel companies want Congress to take action against illegal foreign trade practices. Will this affect your import-export transactions? That depends on who you’re doing business with. Before you source metals from China (or any foreign country), consult a professional sourcing agent to make sure that your imports are within the codes of international trade. The sourcing agent, or international trade manager, will make sure you’re not dealing with dumpers. Protect your business while protecting the U.S. steel industry: contact Walker World Trade today.